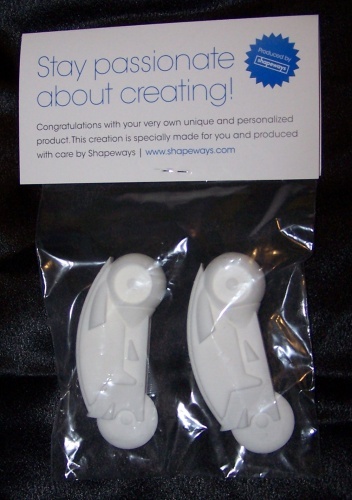 A company called Shapeways provides a service whereby you can send them a file for a 3D model (or select a model others have uploaded to their website) and receive a physical “print-out” of it made out of plastic, glass, stone, or metal. I ordered two lightcycles from the site and received the models in the mail the other day. The models are about 8cm long. 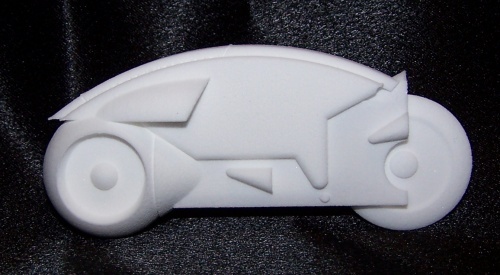 I opted for the default material (white, strong & flexible). The surface texture is a bit grainy — very much like the models created by FigurePrints (a site where you can get physical models made of your characters in the World of Warcraft online game). The detail is fantastic, though. 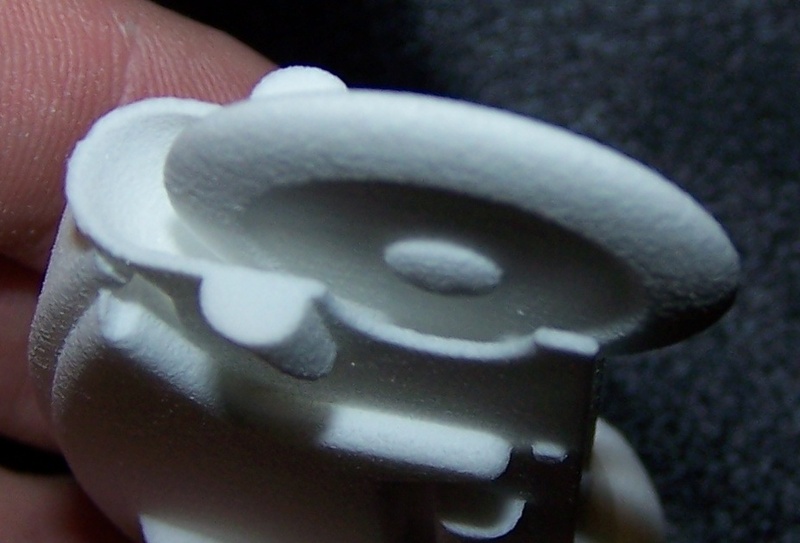 I’m also very impressed at the strength and flexibility of the plastic. 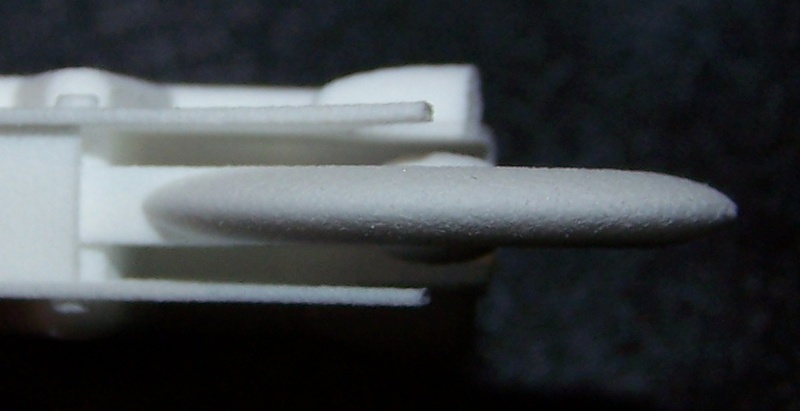 There are two long, thin planes at the back of the models that look like they should just snap off at the slightest touch, but they flex nicely. I’m very impressed with the quality of the product, and would recommend their services for anyone interested in dabbling with this sort of thing. I only hope services like these rapidly get more inexpensive. 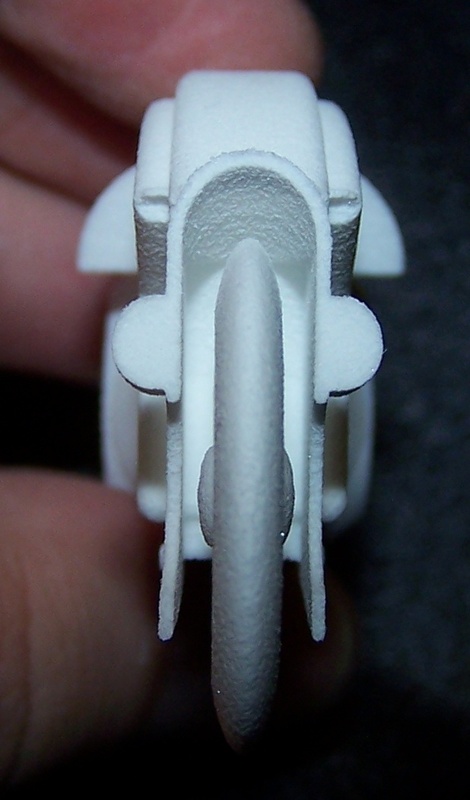 This entry was posted in All Things Don, Technology, TV & Movies and tagged figureprints, lightcycle, shapeways, tron. Bookmark the permalink.